We had a very successful day at The Houston ½ Mile at Ellington Airport on May 16th 2015. We had some really fast cars and motorcycles and it did NOT rain!! Check out these cool highlights from the event. 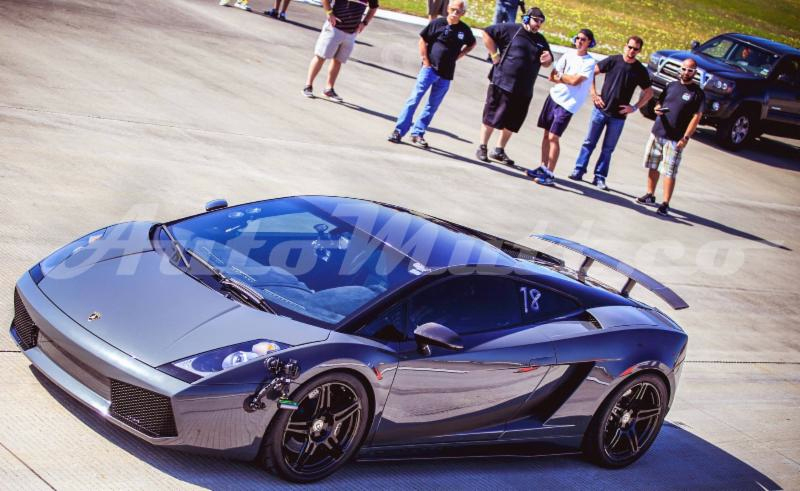 TOP SPEED: This honor goes to Ricky Crossley who went 209.4MPH in a ½ Mile in his 2004 Twin Turbo Lamborghini Gallardo. The current fastest speed record still stands from 2014 held by Cody Whitehead at 224.4MPH. FASTEST GTR: Mark Johnston takes home the title of fastest GTR at The Houston ½ Mile. He achieved a top speed of 203.3MPH! Congrats to him and his crew at AC Motorsports. FASTEST MOTORCYCLE: Brian Trennepohl who went 176.9 MPH on his 2007 Suzuki Hayabusa 1300 takes the honor of Fastest Motorcycle of the event. Brian did not beat his own personal best from 2014 of 198.4MPH but he was the fastest motorcycle of the weekend! FASTEST CAMARO: Chase Dooley achieved a top speed of 196.7MPH in the Snappy Racing Camaro. This breaks their previous record of 178.7MPH in the same car in 2014. Congrats to them for having the official 1/2 Mile Camaro Record and for having the 3rd fastest vehicle at the event. FASTEST SHELBY GT500: Kevin Johnston went home with the honor of fastest Shelby GT500 going 179.1MPH in a 1/2 Mile, beating his previous speed of 160.5MPH and grabbing the record for fastest Shelby GT500. FASTEST CORVETTE: A 2013 ZR1 driven by Jim Cosco went 178.1MPH and takes the title of fastest corvette of the event! FASTEST PORSCHE: Todd Nall’s top speed was 185.2MPH in his 2011 Porsche 911 Turbo in 2014 and he came out this year and beat his record achieving a top speed of 191.7MPH. FASTEST CADILLAC: The fastest Cadillac of the weekend was driven by Mike Franks. He beat his speed from 2014 which was 175.8MPH by achieving 176.1MPH in his 2011 Cadillac CTS V. Mike Franks is the president of the Texas V-Club and brought out a few new CTSV participants to enjoy our event! We appreciate you Mike! FASTEST FEMALE DRIVER: Zoe Slaton with AC Motorsports was the fastest female driver of the weekend. She went 164.0MPH in a 2011 Ford Mustang GT. Right behind her was Kathy Johnston who went 163.5MPH in her 2015 Dodge Hellcat! Congrats to you both! MOST RUNS: Darrell Johnston did a total of 20 runs in 1 Day!!!! ALL ELECTRIC ZOMBIE CAR: Mitch Medford’s all electric Mustang made its ½ Mile debut at The Houston ½ Mile and did a whopping 165.3MPH! He almost took the record from John Metric who currently holds the all-electric record at The Houston ½ Mile at 165.5MPH. 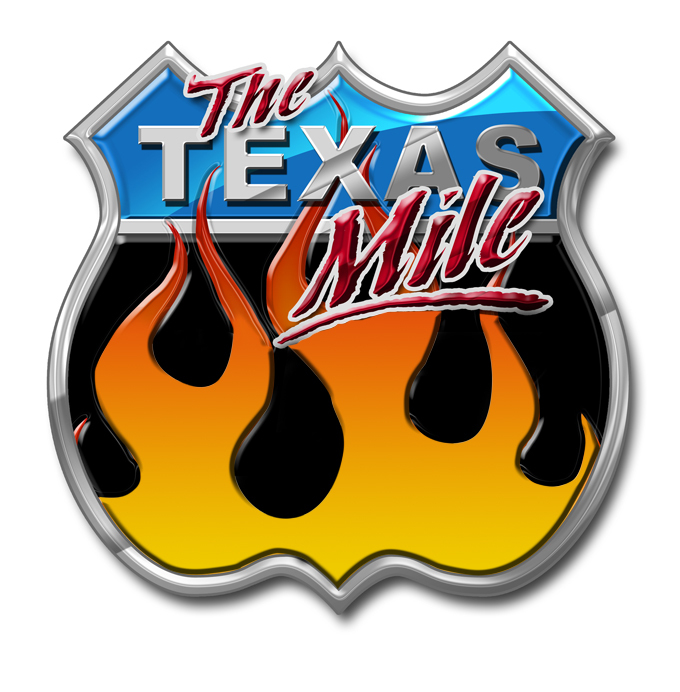 The U.S. 1/2 Mile staff would like to give special recognition to the 3 participants who have been added to the U.S. 1/2 Mile 200+ Club as of May 16, 2015. We look forward to having all of you back next year! The U.S. 1/2 Mile staff would like to give special recognition to the 4 participants who are now part of the U.S. 1/2 Mile 200+ Club as of May 17, 2014. The Lamborghini’s dominated the Street Legal class with the top speed of the weekend achieved by Cody Whitehead at 224.4 MPH. We look forward to having all of you back next year!